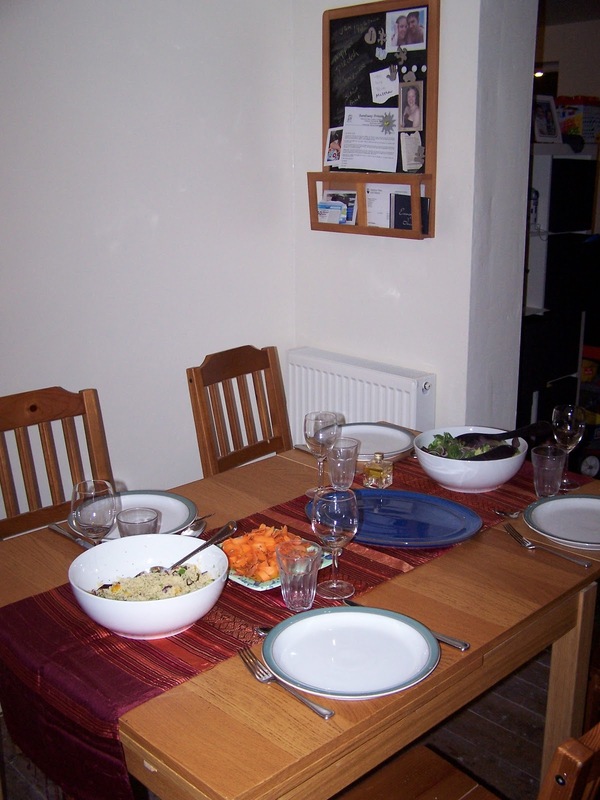 I had my first dinner party in my new kitchen the other week. This is pretty exciting for me as I love cooking and I love entertaining. It’s been a bit of a drought as far as dinner parties are concerned for this last year. We’ve had the odd ‘picnic’ with friends using the rug on the floor due to lack of space, chairs and crockery. I've even found myself having to serve up ready made meals which almost makes me break out in an allergic rash! For my first dinner party, I invited my ‘mummy’ friends over. Unfortunately, this was also the week that the induction hob stopped working and Currys failed miserably with their customer service. My mummy friends are easy to feed though, and were very happy with pizza and a selection of salads washed down with wine.